The Team: For Russ and the Allfather! As with the Orks stuff from the other week, this isn’t a full theme team (though this is substantially closer!). The main strategy is entirely based on theme though; it’s to use Venerable Dreadnaught (guess why) alongside Seething Corruption and tons of Grey Hunters to attack my opponent, and if it’s not enough to finish the game, just use Infiltrate to send my guys back for the next turn. I also decided, as a secondary strategy, to throw in big bruisers. If things go south, I can just charge in and hope for the best. 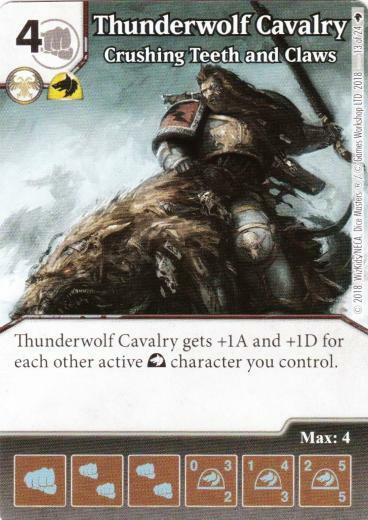 Thunderwolf Cavalry and Logan Grimnar serve that purpose. Grimnar, in particular, seems to be a bit underrated; he’s got built-in Overcrush, good fielding costs, and up to 8 attack. Not to be underestimated. To keep with the Space Wolves theme, I threw in Sky Claw (decent global, and not a horrible ability) and Wolf Guard Terminator. Now, Wolf Guard intrigues me because of his second ability. 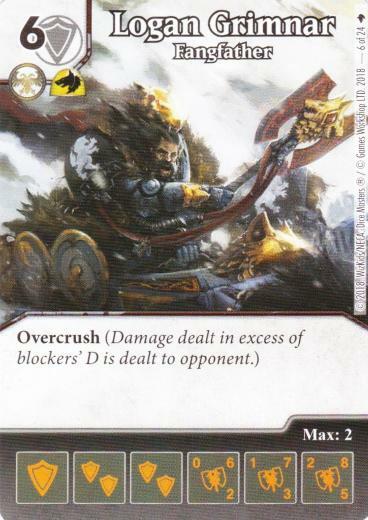 If he can’t take more than 1 damage, that potentially shuts down Overcrush completely. And on top of that, he has Infiltrate, which fits directly into my strategy. 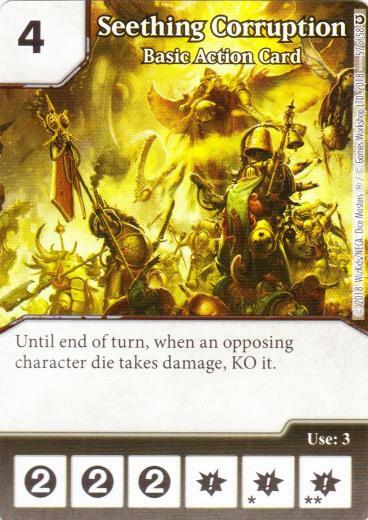 We’re now left with three cards that didn’t fit into the theme: Resurrection, put in for some ramp and churn, Kree Captain, since I rely on a fair amount of 4+ cost characters, and…Shriek! Yep, I brought her back, first time in four months. 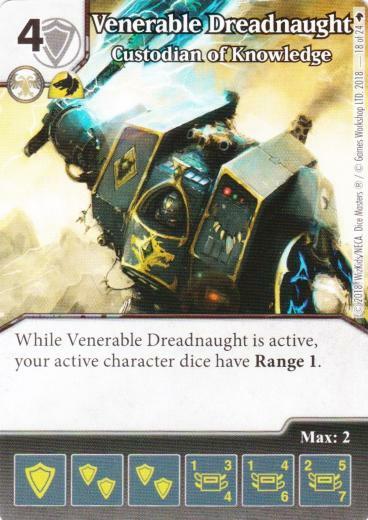 I wanted to have her available in the Dreadnaught vs Dreadnaught matchup, to blank their Dreadnaught so that they couldn’t use Range against me. I started off against the Hulk + Thanos + Dreadnaught build from last week. I went for Grey Hunters alongside my own Dreadnaught early on to deal some Infiltrate damage, with Thunderwolf Cavalry acting as a good battering ram. I also got Shriek and blanked his Dreadnaught. He eventually bought Thanos, but doing so left his field mostly open. I took advantage of this opening and used the Range from Dreadnaught to empty his field and swing in for the win. This game, I went up against the Batiri Battle Stack + Dreadnaught build. There, the whole Dreadnaught + Seething Corruption combo would’ve helped…if it rolled. Problem: my opponent Shrieked Dreadnaught, and I had terrible bag control, so my own Shriek did not show up in time. As a result, her giant Batiris and Dreadnaught just ran me over before I could win. She won. For my last game of the night, time for some Orks (with some other Warhammer factions thrown in for good measure). I went with a hodgepodge of offensive options, with Logan Grimnar chief among them. This is the game where he got to shine. As opposite to my previous opponent, he didn’t have much in the way of high-toughness characters, so by putting constant pressure with Logan, the Cavalry and a bunch of Hunters, I put him in a situation where eventually he couldn’t reroll everything, so he started taking big chunks of damage. I attacked at every opportunity, using the Sky Claw global when Logan Grimnar got blocked, and it was too much for my opponent to stop. I won. 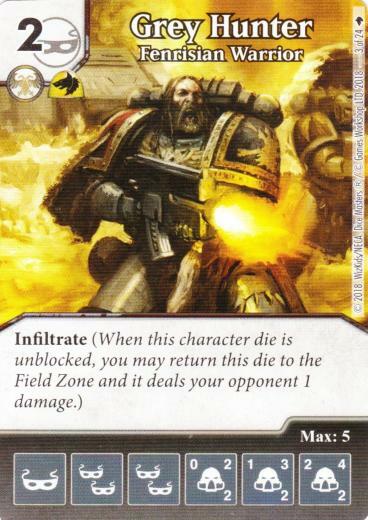 -Wolf Guard Terminator would be fantastic anti-Overcrush…if Dreadnaught wasn’t around. Dreadnaught can ping him out so easily that he’s not as good a counter as he should be. Maybe he’ll be better when the new Widow comes out? -Logan Grimnar may sound a bit plain, but he’s probably the best 6-cost Overcrush character in Modern; his aggressive stats and decent fielding costs make him a good battering ram for sure. -There’s a very real debate to be had about using Kree Soldier or Grey Hunter as an Infiltrate option. On the one hand, Grey Hunter’s stats are so aggressive that he can eventually just swing in for damage to finish off your opponent. On the other hand, Kree Soldier has Swarm, thus helping with ramp, and he gives fists, which is fantastic to use with the Kree Captain global. Having played with both, I personally prefer Kree Soldier right now, as getting fists and ramp just works much better in the current meta. Definitely something to decide on a case by case basis though. -I needed better ramp and bag control; Seething Corruption was useless all night because of it. Hence the whole Kree Soldier debate. Overall, I’m pleasantly surprised at how well a (mostly) theme team of Warhammer can run. Maybe I’ll try out some of the other factions sometime.